Subscribe to our monthly new music newsletter and receive updates on new releases, Free Samplers and more. We’ll also notify you about special events in your area. Like any pianist and composer in the jazz idiom, John Beasley owes a substantial debt to Thelonious Monk. Unlike most, he chooses to express that influence in large-canvas terms. Several years ago he formed the MONK’estra, a Los Angeles-based big band, in order to play Monk’s music with contemporary flair. MONK’estra, Vol. 1 was released on Mack Avenue last year, garnering two Grammy nominations and critical acclaim. In the wake of that release, Beasley took the band on tour, before returning to the studio to make MONK’estra, Vol. 2. That album will be released on Sept. 1, weeks before what would have been Monk’s 100th birthday. 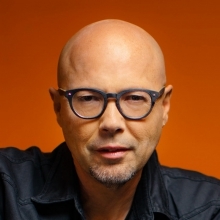 Beasley is an accomplished composer for film and television, and he has been the musical director for every International Jazz Day All-Star Global Concert. He brings coolheaded insight to his orchestrations, drawing on a big-band syntax refined by the likes of Quincy Jones. With MONK’estra, Vol. 2, Beasley also welcomes a handful of marquee guest soloists, like violinist Regina Carter (on “Crepuscule with Nellie”), percussionist Pedrido Martínez (“Criss Cross”) and singer Dianne Reeves (“Dear Ruby,” a reinvention of “Ruby, My Dear”). An exuberant arrangement of “Evidence” features two swing-for-the-fences solos, by the questing tenor saxophonist Kamasi Washington and the erudite trombonist Conrad Herwig. 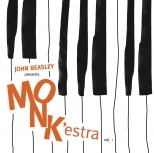 John Beasley and the MONK’estra will perform at the Detroit Jazz Festival on Sept. 3, at the Monterey Jazz Festival on Sept. 17, and at the Jazz Standard in New York from Oct. 12-14. To celebrate #JazzAppreciationMonth check out this version of Miles Davis’ “Walkin” from #InternationalJazzDay 2012! There’s less than two weeks until this year’s celebration in Melbourne, with Musical Director John Beasley and a performance from Joey DeFrancesco - Fan Page!